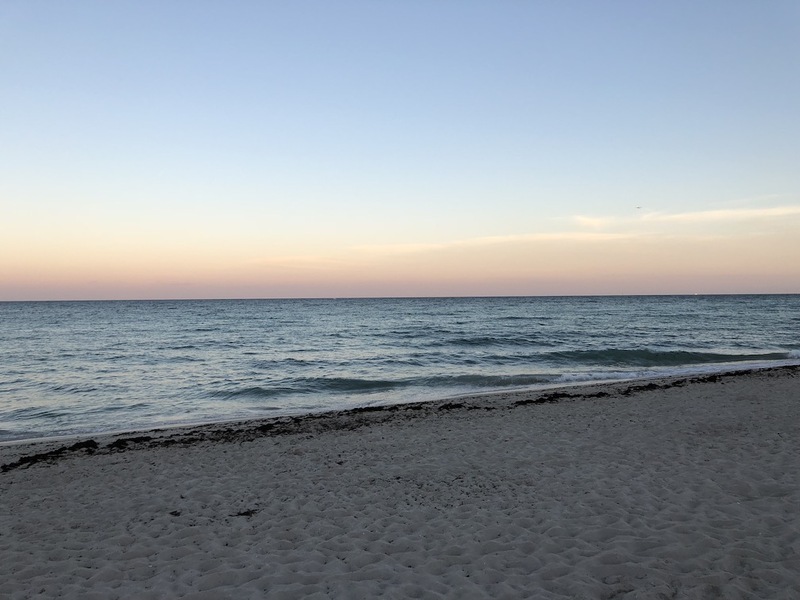 After our first and only night at Disney’s Vero Beach we had decided I would take our two daughters down to the beach while my wife had some spa time. This was a huge hit with our kids and after a good couple hours down there in the sand and surf as is always the case we had to drag them away. But there were promises of more beach days as our vacation continued that week. We got cleaned up and checked out of Vero Beach so we could get on road for the second half of our journey. The highway took us straight down south and eventually over to South Beach Miami to our hotel for the next few days. 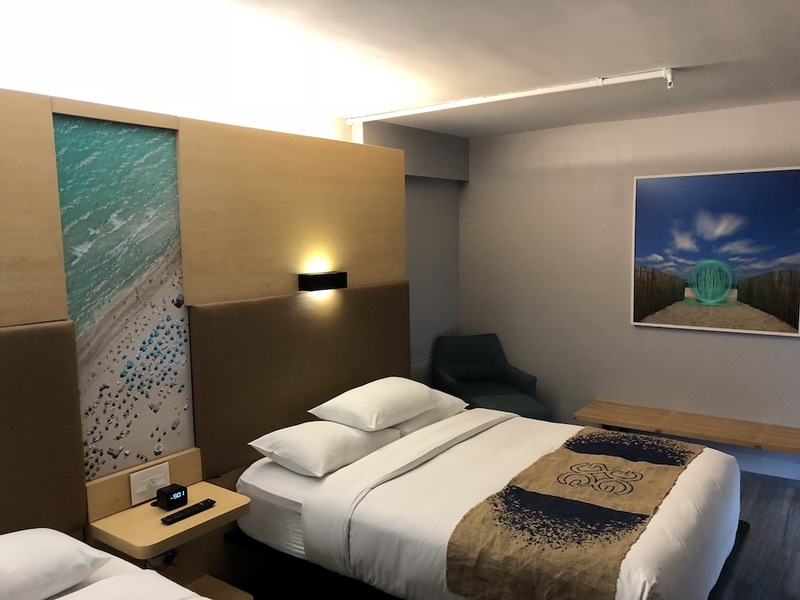 The hotel was nice, room was very modern and appeared to be recently renovated. The only issue we encountered was no bath tub. Now for my wife and I that’s not a big deal but our two daughters who were 5 and 2 years old made for an interesting bath time each evening. 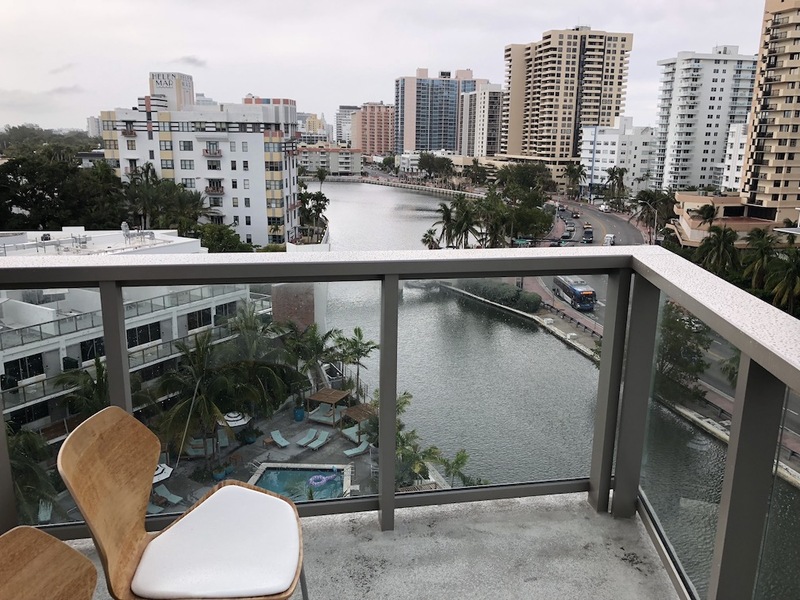 We had a nice view from our balcony of the harbor and if you looked closely between some of the towering skyline you could see the beach only a block away. Once we were settled into our room and unpacked it was about time to start thinking about dinner. 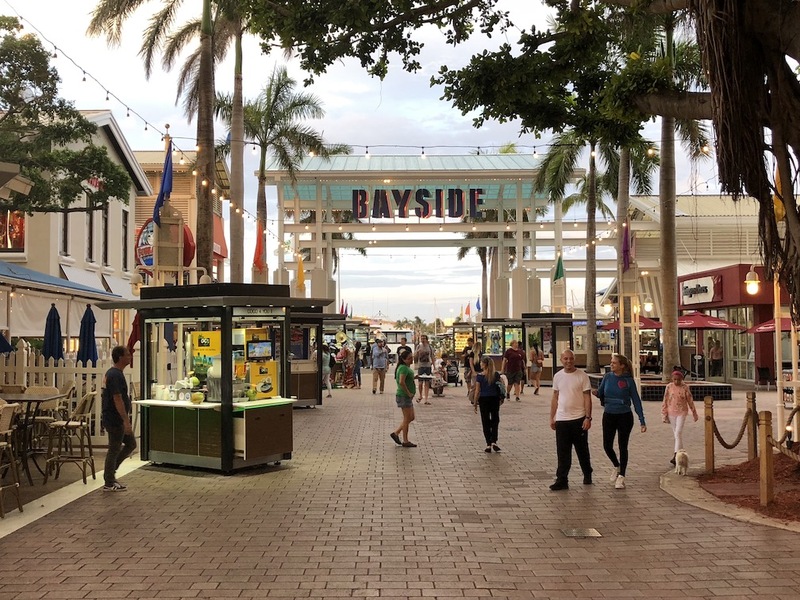 I found online a place called the Bayside Marketplace that wasn’t too far away and seemed like it would have a nice selection of places to eat. We hopped in the car and headed over. 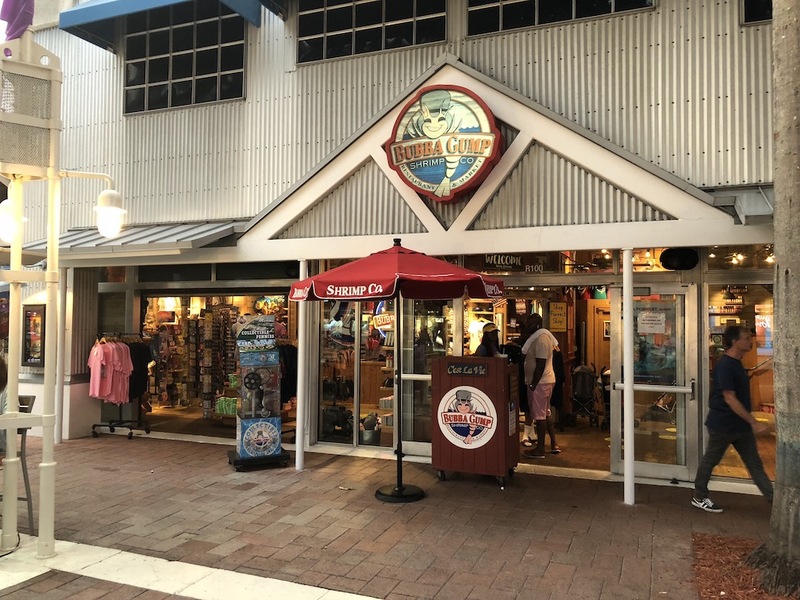 It was starting to get a bit late and we were all pretty hungry so we picked one of the first places we found which was Bubba Gump Shrimp Co.
As luck would have it there was a pressed penny machine right near the entrance. Well full disclosure here, I knew about this machine and had planned to visit here just to use the machine later in our trip, but since we were hungry I figured we may as well drop in and eat as well. I’m pretty sure my wife knew what I was up to. The machine was a four design hand crank model. It was mounted to a platform with wheels so it could be moved around easily. I would guess it’s just to store it inside when the restaurant is not open, but just be aware its location may change. The designs were of a Bucket of Shrimp, Forrest playing Ping Pong, Run Forest Run, and Forest on the Bus bench. 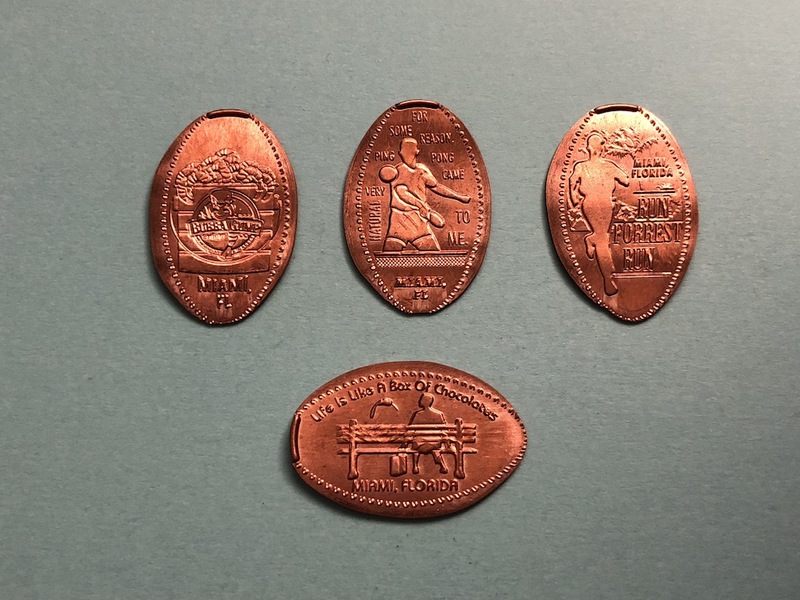 All of the designs say Miami, Florida which makes for fun memento of each location you visit. I do have a few other sets from different locations around the country and they are designed very similarly. The restaurant is filled with nods to the movie Forest Gump, and lots of memorabilia up on the walls. 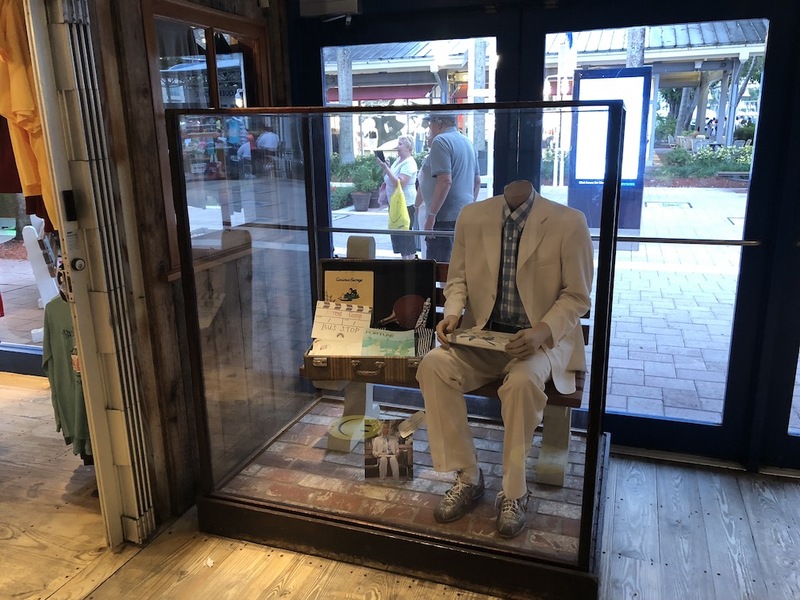 Screen worn clothing and props are in all the corners of the restaurant and gift shop. We spent quite a bit of time after our meal just wandering around looking at the items. 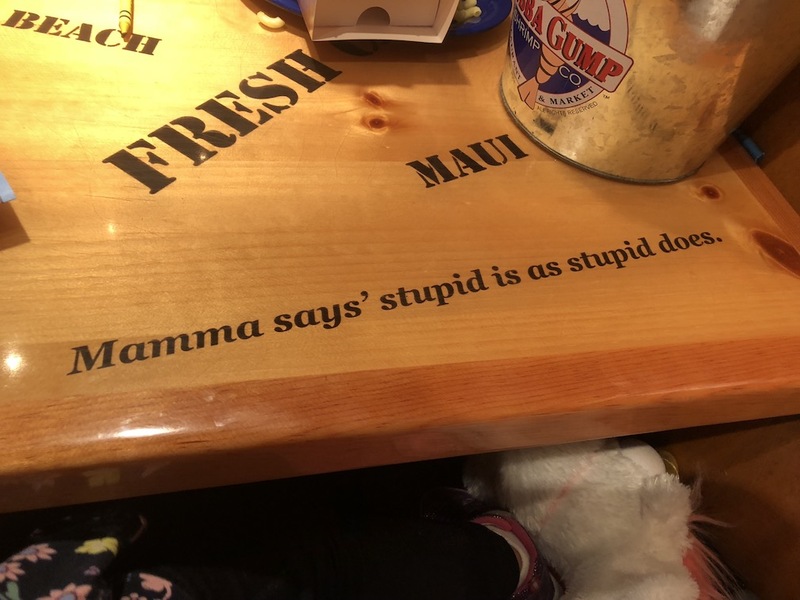 Even the table had some motivational quotes from the movie while you waited for your food. 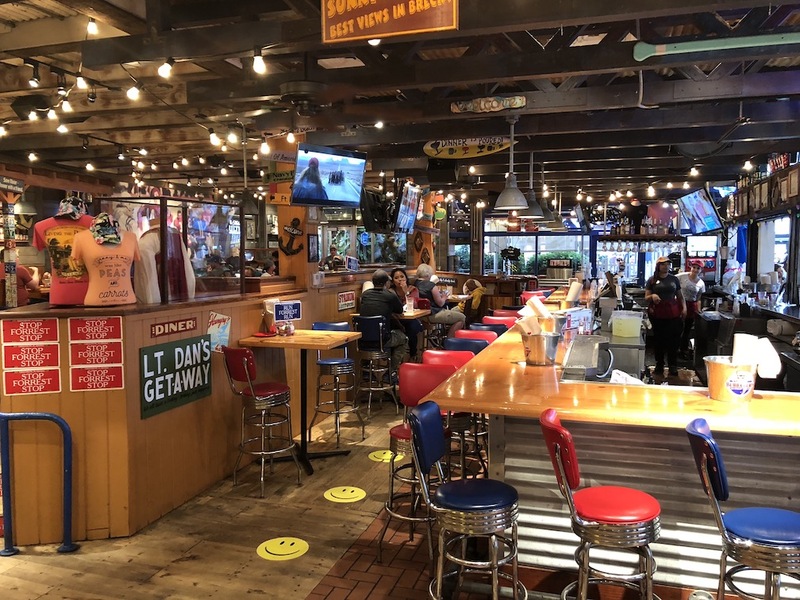 This restaurant can get loud as the night-time crowd arrives, but the food was good with as you can guess plenty of Shrimp dishes to choose from. After dinner we did walk around a bit, but I could tell everyone was getting tired. We headed back towards our hotel but took a quick pit stop over to the beach. The sun set was beautiful and always seems more special with the crashing waves rolling up onto the beach sand. 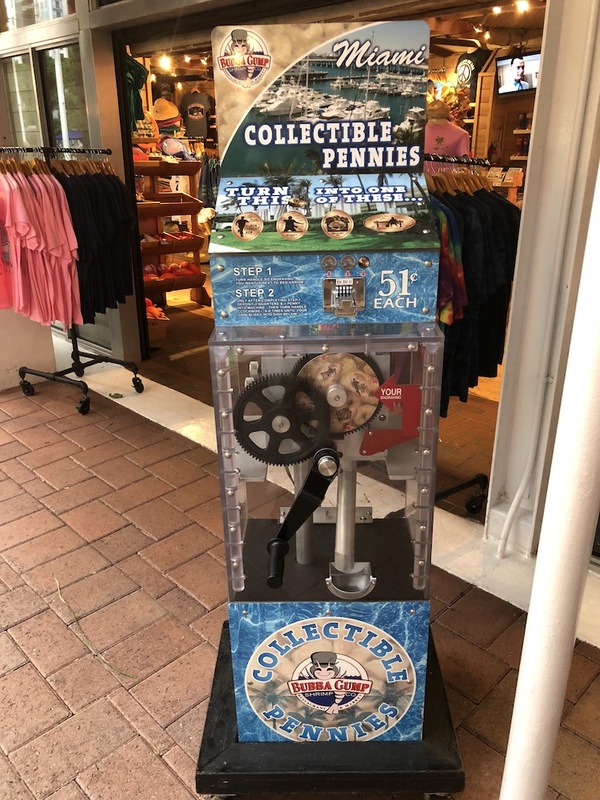 After we had enjoyed some fresh ocean air it was time to head back into our hotel for some sleep as we had a big day ahead of us, and plenty more pressed penny machines to find.